Jim Wood, who teaches five of our fiddle videos, is the only person who has won the Tennessee State Fiddle Championship five times. He was born and raised in the Nashville area and began playing music on his daddy's knee. 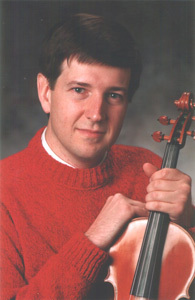 Jim attended Nashville's Belmont College, and the Berklee School of Music in Boston, and has taught numerous young (and old) aspiring fiddlers. Jim has performed on countless recording sessions with major country artists, and recorded with bluegrass icon John Hartford. Jim and his wife Inge currently perform as a duo and present an eclectic mixture of folk and fiddle music that reflects their diverse backgrounds. You can find out more about Jim on his website: jimwoodmusic.net.